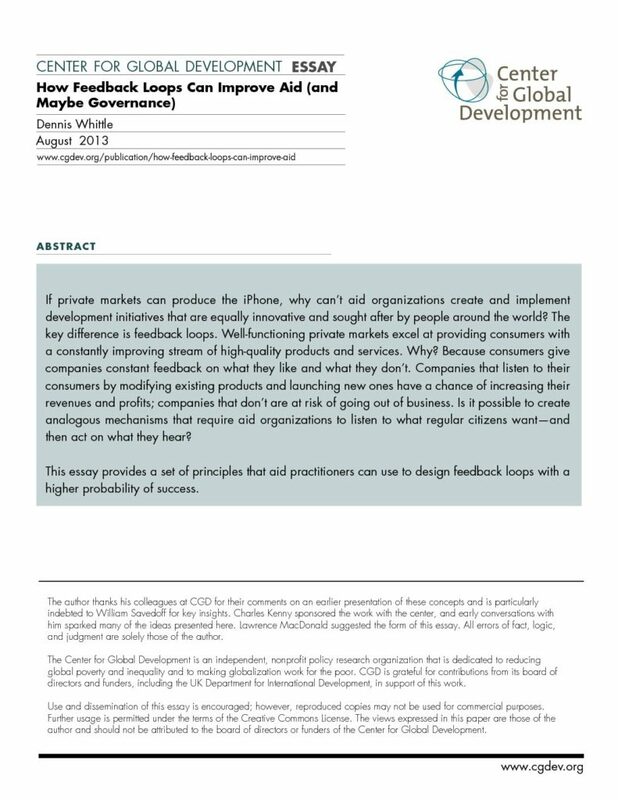 This essay provides a set of principles that practitioners can use to design feedback loops with a higher probability of success. It suggests that effective efforts benefit from getting constant feedback about what works and makes the case that constituent (or consumer) voice is critical to design systems that are effective and responsive. Center for Global Development works to reduce global poverty and inequality through rigorous research and active engagement with the policy community to make the world a more prosperous, just, and safe place for us all. To learn more, visit www.cgdev.org.